With a slide-switch controlled microphone, the DA-113/SM is ideal for legal and radiology applications where regular pausing and review are necessary. 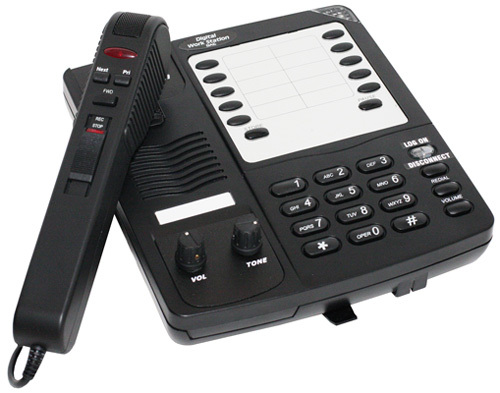 You can connect and dictate to any telephony enabled dictation system. This includes our Voice Solutions Server as well as Dolbey Fusion, Winscribe, DVI, and more.